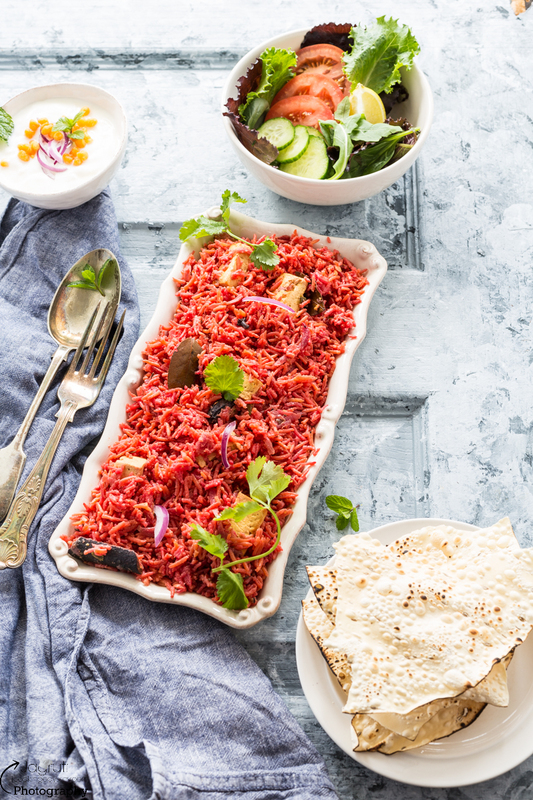 Beetroot, Tofu and English Mustard Rice is a wholesome one pot meal. 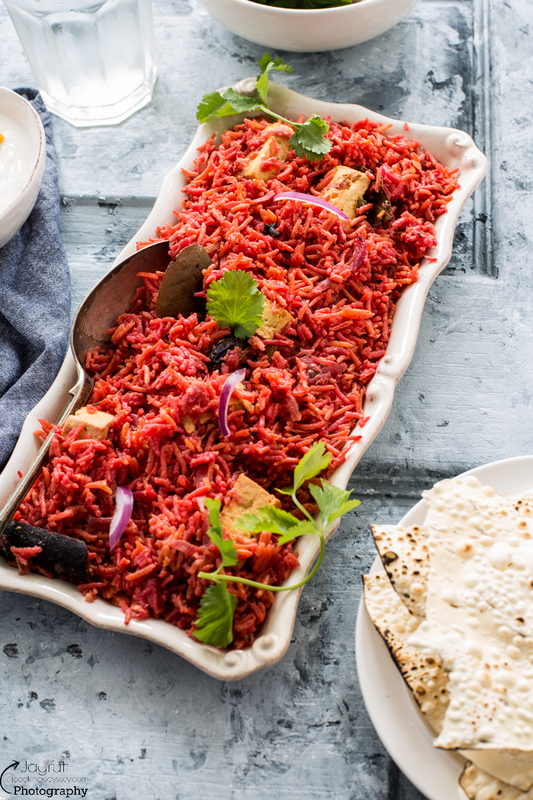 The health powers of the beetroot, tofu and abundance of spices make this dish a great choice for a lunch or dinner. As a mother of kids who go to university, there is no other greater stress than what they will eat once they get home from a hard day of studying. With less time on their hands and small communal kitchens, cooking up complicated meals isn't easy. However, these days with so many ready prepared ingredients, cooking from scratch isn't as hard as it seems. My daughter rose to the challenge accordingly and made this recipe using Veetee microwavable rice. It's a lot better than her heating up ready meals or getting takeaways as the rice only takes two minutes in the microwave. She sent me a picture of her food and I already pencilled it in for her to make it for the family once she got home! 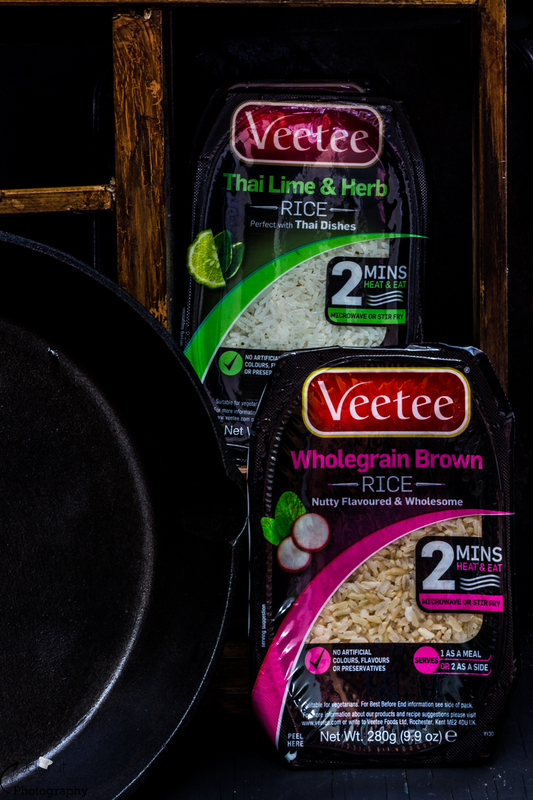 The Veetee Heat & Eat range is great for students and adults alike and is available in plain and flavoured options. Although they are microwavable packs, these can be stir fried and you can adapt them to create a new recipe. My daughter said that she used Veetee microwavable basmati rice and then stirred it through the beetroot pulao mixture that she made. She also uses others in the range to cook various meals for herself. My husband has now learnt from her to make these rice dishes when I am not in. 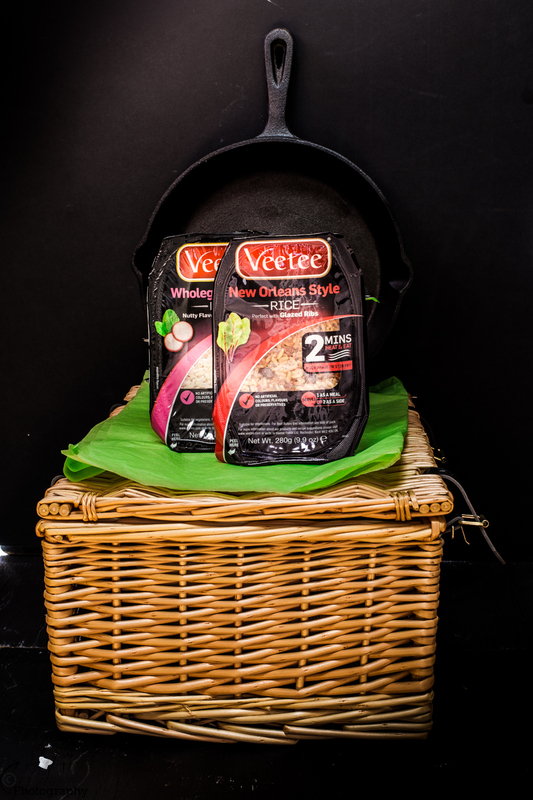 Veetee sent me a hamper of their microwavable range Heat and Eat to try at home and become a part of the Veetee Bloggers Community. This rice post has been created in time for National Rice Week (19-25 Sep 2016). Discard all the water from the tofu and cut into square pieces. Heat oil in a heavy bottom pan or kadai, add all the whole spices and caraway seeds. Once they crackle, add finely chopped onion and saute until light pink. Now add ginger-garlic paste, grated beetroot and drained cut tofu. Mix gently, now add red chilli powder, turmeric powder, mustard paste and mix well. Let the mixture cook for couple of minutes then add Veetee rice, salt and gently mix again. Cook the rice for 2-3 minutes, once heated properly switch off the heat. Serve hot with raita, roasted papad and salad. Disclaimer - Thank you Veetee for sending me a hamper of goodies. I was not told or paid paid to write a positive review, all the thoughts and opinions are my own. This looks absolutely amazing and I am a BIG fan of pre-cooked rice too, for ease and speed, and you can always add fab ingredients to it, as you have done here! Literally everything about this colorful dish is new to me, thanks for the delicious introduction! This looks absolutely delicious! The rice sounds lovely! I like the grated beets in the mix! What a fabulous combination of flavours, I love the pretty colour that the beetroot gives to the rice too! That beetroot really makes that rice a beautiful color, as well as all the health benefits. Great recipe, looks very tasty! I love beetroot color on rice, this looks like a quick rice recipe. This would be a great way to save all the time in cooking rice. Thanks for sharing!! 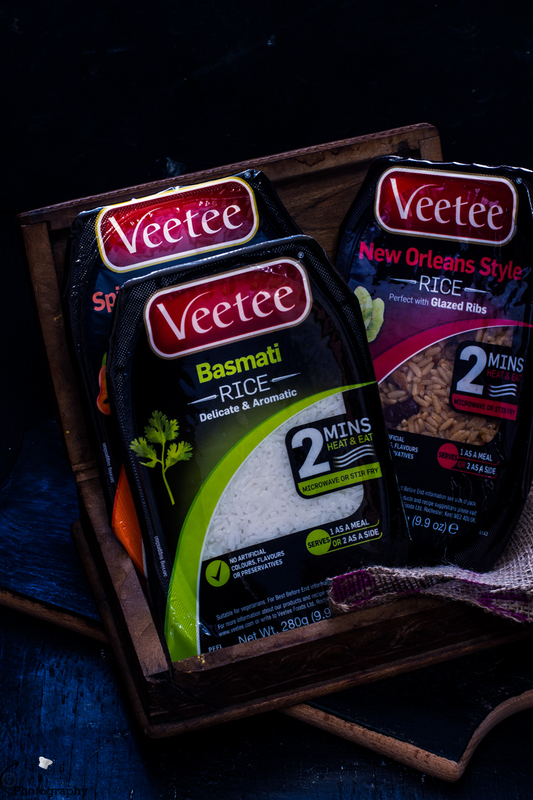 Basmati rice for the win! Love how red this dish came out! What a beautiful colour dish. There is so much that you can do with rice and this shows how versatile it is. 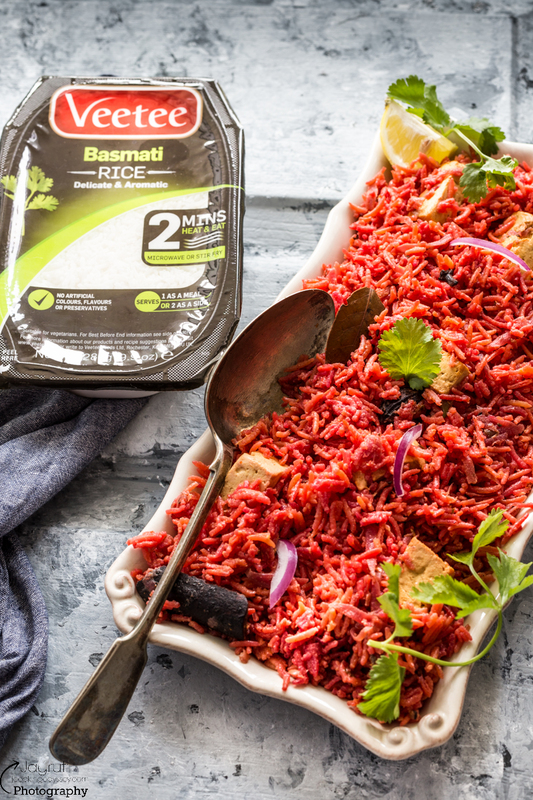 I love making beetroot rice and love your idea of adding tofu to it. Looks so colorful.